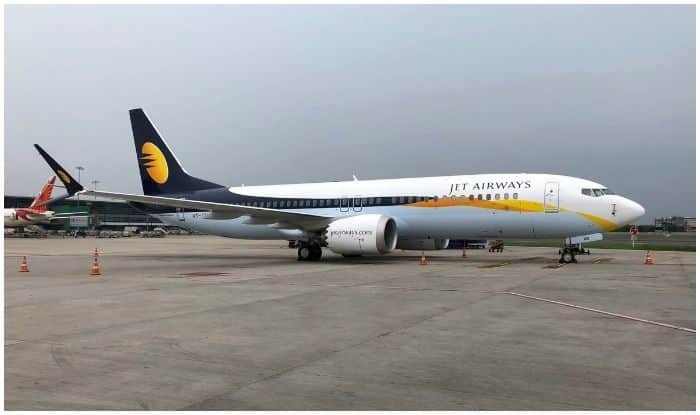 New Delhi: Of the total 119, Jet Airways is currently operating 41 aircraft and there may be ‘further attrition‘ of flights ‘in coming weeks’, said a DGCA (Directorate General of Civil Aviation) spokesperson after a meeting between the regulator and airline on Tuesday. The meeting comes after the JAMEWA – Jet Aircraft Engineers Welfare Association (JAMEWA raised a question on the safety of the plane, being flown by them. They had requested the DGCA to intervene in the matter. “The DGCA reviewed the performance of Jet Airways on operational, airworthiness & passenger facilitation today. Current availability of aircraft in the fleet for operation is 41 and accordingly scheduled for 603 domestic flights and 382 international flights has been drawn. However, it is a dynamic situation and there may be further attrition in coming weeks,” news agency PTI quoted the official as saying. Earlier in the day, the Jet Airways’ Aircraft Maintenance Engineers’ Union wrote to the aviation regulator on stating three months’ salary was overdue to them and flight safety “is at risk”. “It has been arduous for us to meet our financial requirements, result of which have adversely affected the psychological condition of Aircraft Engineers at work and therefore the safety of public transport airplanes being flown by Jet Airways across India and the world is at risk,” the Jet Aircraft Engineers Welfare Association (JAMEWA) said in a letter to the Directorate General of Civil Aviation (DGCA). As per the Jet Airways’ website, it has a fleet of 119 aircraft in total.However, for the past few weeks, passengers have been venting their ire on social media as the airline’s flight cancellations have increased gradually due to the rising number of grounded aircraft. Grappling with financial woes, the carrier has been looking at ways to raise fresh funds.